Georgia’s winter season has arrived! Though we are known as a warm southern state, things can get pretty chilly here, especially in the northern part of the state. 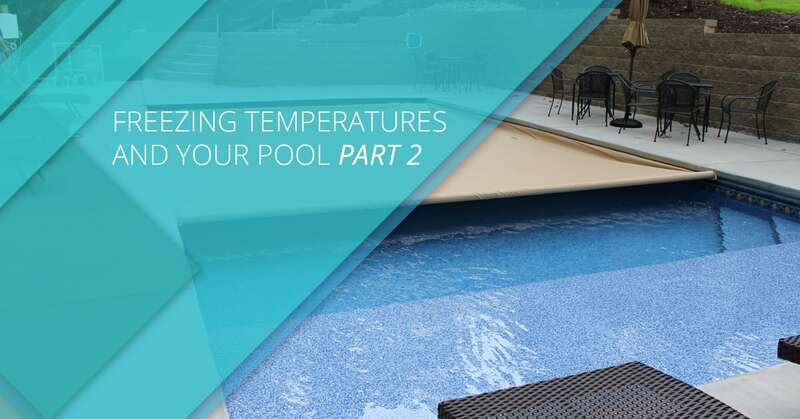 We’re familiar with below-freezing temperatures, and our pools are, too! The key is knowing how to equip your pool to make it to April and May, especially if you decide to keep it running. Many people shut their pools down over the winter, but if you have a spa you want to keep running, or you can’t be without your pool for the cold months, that’s okay. You just need to make sure you stay on top of your enjoyable investment. In our last blog, we discussed issues you should watch for and how to handle them. However, we assumed in our last blog that you would always have power to work with. Sometimes, freezing rain and brutal temperatures can leave us without power. If you find yourself in this situation, there are some things you absolutely need to do for your pool or spa. There’s no power going to my pool. What should I do? Go to the circuit breakers first. You will need to ensure that all breakers connected to your pool equipment are in the “off” position. Take care of the filter next. It’s important to open the filter air bleed valve. You may find it frozen; in this case, simply pour warm water over it. Tend to the pump. To do this, simply remove all the drain plugs from the bottom of the pump. You don’t want to lose the plugs, so make sure you place them into the pump basket and loosely put the lid back on. Remove chlorinator tubing. If your pool or spa has this feature, go ahead and remove the chlorinator tubing to prevent freezing and damage. Open up all the valves. If you have three-way valves, put them in the middle position. Opening the valves allows water to flow back into your pool or spa through all the pipes. Remove the plugs. If you’ve installed winterizing plugs or open drain valves on the heater, take them out. To avoid losing them, place them in the pump basket with the other drain plugs. You will be glad you did! Protect the pipes. Some of your pool’s pipes may not be able to be drained. They are at high risk of freezing and getting damaged. We suggest you invest in electrical heating strips from your hardware store. Depending on the availability of power, they can be the most effective, simple way to protect your pipes. Otherwise, blankets may be your best bet. Insulate the electronic ignition heaters. You don’t want your ignition heaters freezing up. The good news is, a couple blankets will do the trick to insulate them and keep them ready to go. Just make sure you remove those blankets once you’re ready to use the heaters again! Pools and spas are worthy investments that can enrich your life year-round. At North Georgia Pools, we provide the very best pools and spas the industry has to offer. Turn to us in Cleveland and beyond for fair prices and unbeatable service.